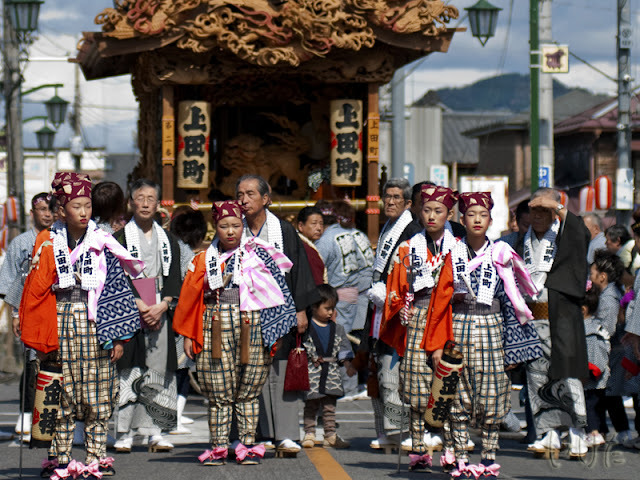 Tochigi Daily Photo: Kanuma Autumn Festival starts tomorrow! Kanuma Autumn Festival starts tomorrow! Tekomai (those costumed girls) in front of one of the festival floats. Photo taken last year. We explained about the tekomai girls here. These are some curious costumes. I love it. greetings. Remeber this little guy from last year?